As a current or prospective local business owner, your top priority is sales. While the marketing strategy matters for getting customers in the door, it’s closing the deal that will make your business successful. 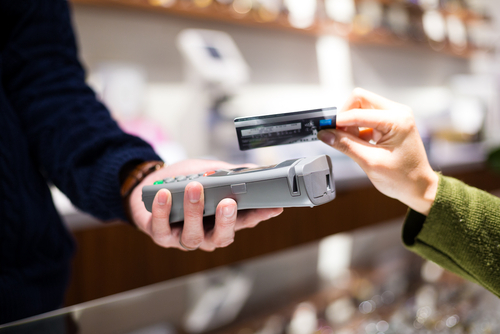 Whether you‘ve been in business for years or you’re starting one today, the type of point-of-sale, or POS, system you use is crucial to running your day-to-day business operations smoothly. If you’re simply looking to upgrade your system or implement an entirely new one, there are plenty on the market to choose from. Although finding the system that fits your local business’s every need may seem like a tiring task, it’s necessary for it to run properly. Started by a small business owner who was unsatisfied with the way his POS system was working, he decided to ditch it and create his own. Specifically designed for quick-serve restaurants and bars as well as bakeries, juice bars, food trucks, and pet shops, ShopKeep provides an easy solution for local businesses looking to control business operations in one, central place. With several features to make local business owners’ lives easier, like detailed reporting, custom modifying and offline transactions, as well as opening, updating, and closing multiple checks across multiple registers, ShopKeep is great for those looking for a simpler way to manage their growing businesses. At $69 per month for a POS system, trained setup, and 24/7 customer support, ShopKeep is an inexpensive way to complete your daily operations. Geared towards businesses in the food and beverage industry, coffee shops, computer shops, and bike shops, Vend allows you to oversee all day-to-day business functions from one dashboard. With the ability to manage inventory, automate restocking, view customer statistics like purchase history and account balances, as well as manage employees and view detailed reports, Vend provides you with in-depth insight to almost every facet of your business. Offering three plans, Starter, Advanced, and Multi-Outlet, that aim to cater to every set of small business needs, each cost $39, $79, and $199 per month respectively. Get more detailed information on what each of these plans entail here. Founded in 2009, Square has been easing the payment process for small business owners ever since. Extending its capabilities beyond just mobile payments, Square now offers an all-inclusive dashboard that allows small business owners to control employee access and monitor their shifts, manage multiple locations with one account, filter reports, get customer feedback, sell gift cards, and use email marketing. You can get started with a free mobile payment device, then build your full POS system from there. Priced between $1,126 and $1,326 depending on the iPad purchased, Square’s POS package includes a stand, cash drawer, receipt printer, and iPad. In addition, Square charges 2.75% per swipe and deposits money into your account within one to two business days. Learn more about Square here. Another mobile payment processing product turned POS solution, Clover has four different systems to choose from. With Clover Go, Clover Mini, Clover Mobile, and Clover Station, each product offers features for every type of business. Offering clients the Clover App Marketplace, local businesses have access to a customized website for their business, security and encryption for each payment, rewards, gift cards, accounting, insights, and employee scheduling. Charging 2.69% plus $.05 for every swipe, and an additional $19 per month for the customized website, Clover is another viable POS system for your small business to consider. Best for pet stores, salons, spas and restaurants, Bindo provides central customer management for your business through their online dashboard. Packed with features like invoicing, employee shift monitoring, inventory management, creating customer profiles, loyalty programs and reporting, Bindo provides businesses with insight into every part of their business. Providing businesses with a customizable online storefront and integration with apps like QuickBooks, Xero, Powa, and API, Bindo covers all the bases at your business. Get a pricing quote for your business here. Designed specifically with restaurants in mind, TouchBistro is best for local businesses in the food and beverage industry. Streamlining the dining process, TouchBistro allows you to take orders (even complicated ones) with ease, automatically generate delivery routes for drivers, combine bar tabs, import your restaurant’s blueprint to control seating and add reservations, and split checks by seat. Offering four plans, Solo, Dual, Team, and Unlimited, they’re priced at $60, $129, $249, and $399 per month, respectively. All plans include cloud reporting and analytics, 24/7 phone and email support, full tableside and quick service POS features, and unlimited users. To learn more about TouchBistro’s pricing and plans here. Operating in a fast-paced world, our local business customers are always looking for ways to save time and money. 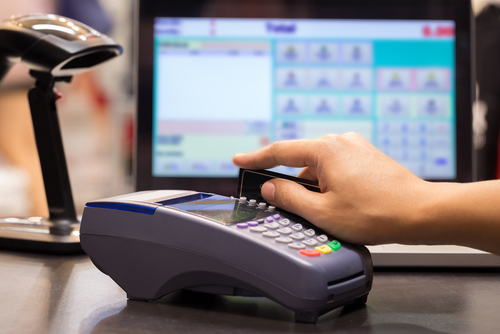 Choosing the right POS system can streamline your business and make your life easier. Find out how SinglePlatform makes life easier for local business owners here.